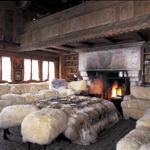 Against a backdrop of evergreen forests, rugged mountain peaks and crisp white powdered slopes, a unique and evocative living style has evolved in Alpine ski resorts as varied in character as St Moritz in the Swiss Alps and Aspen in Colorado. 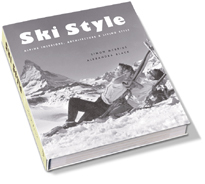 Ski Style captures the distinctive aesthetics and ambience of this way of life through photographs of interiors, architecture and style elements that powerfully convey both the nostalgia and modern dream of mountain living. 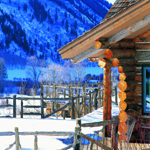 From the postcard perfection of the Swiss Alpine resorts of St Moritz, Klosters and Gstaad and the Italian chic of Cortina to the Wild West bravado of Aspen, this lifestyle is explored in all its incarnations, in both private homes and exclusive lodges and hotels, all graphically conveyed with a compelling mix of atmospheric colour and archival photographs.